Maca, also known as Peruvian Ginseng, is a native South American plant found in the Andes and a popular ingredient that’s been used for centuries in traditional medicine. Packed with essential nutrients, our powder is super-convenient to make part of your active lifestyle. Loaded with vitamin C, B6, riboflavin, calcium, and iron, this powder will help to keep you feeling your best2 and ready to power through1 whatever you have planned for your day. It’ll also support your body through a busy training schedule, as calcium and vitamin C play a vital role in normal bone health3 — leaving you able to tackle your workouts with confidence. 1. Vitamin C helps to reduce tiredness and fatigue. 2. Vitamin B6, and iron contribute to the normal function of the immune system. 3. Calcium is needed for the maintenance of normal bones. Vitamin C contributes to normal collagen formation for the normal function of bones. When to take Organic Maca Powder? With a sweet, rich malty flavour it goes well with cinnamon and chocolate — perfect for making a delicious hot drink, or adding to shakes and baking. 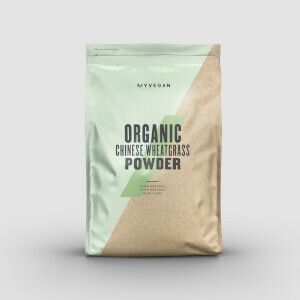 What does Organic Maca Powder work well with? Add a scoop to our Protein Pancake Mix for a quick-to-make stack that delivers 34g of protein and only 3.2g of fat. This has helped with hot flushes whilst in menopause - 1 teaspoon a day - it's amazing! Natural yoghurt mixes well with it - I have also put it with scrambled eggs, yoghurt is better - I'm not keen on shakes so this works for me.